The Junghans Max Bill series displays the iconic designer’s signature style: minimalist and clear forms alongside perfectly balanced elements. Joining the wrist watch collection, the Junghans Max Bill Table Clock Quartz features the same Bauhaus-style aesthetic of the series. Around the edges of the white dial, small markers and Arabic numerals create a clean design. Along with the polished hands, the clock makes it easy to read the time, even from a distance. 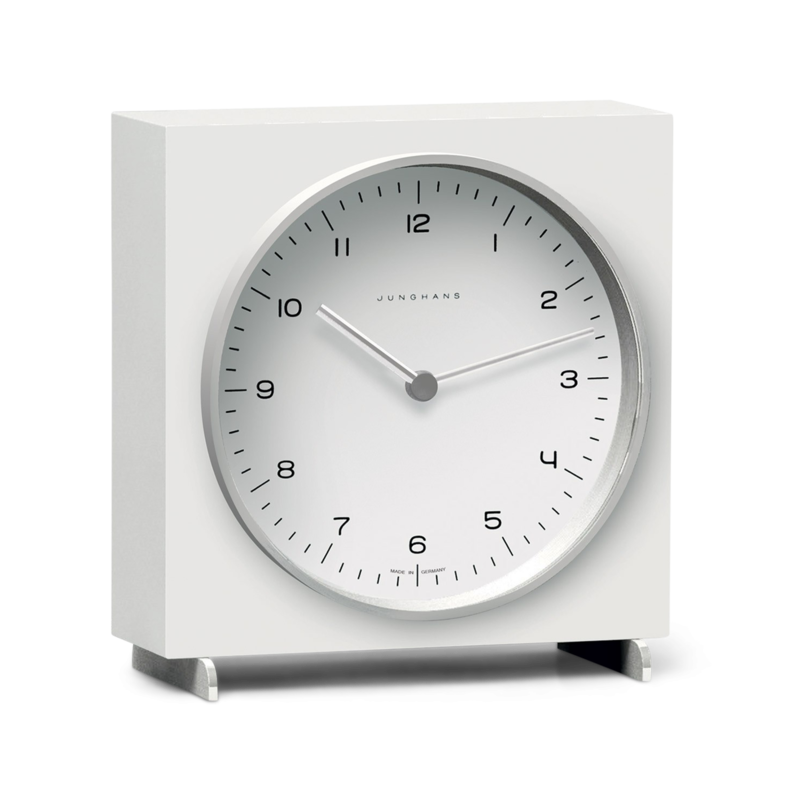 This designer table clock comes with a wooden case that boasts a semi-gloss silky white finish. The mineral crystal glass protects the dial against scratches to keep it looking like new for longer. Other features include the J738 Quartz movement and stainless steel feet.